Authors of PVS-Studio static code analyzers offer programmers to test their sight and to try finding errors in C/C++ code fragments. Code analyzers work tirelessly and are able to find many bugs that can be difficult to notice. We chose some code fragments in which we had founded some errors using PVS-Studio. Quiz is not intended to check C++ language knowledge. There are many quality and interesting tests. 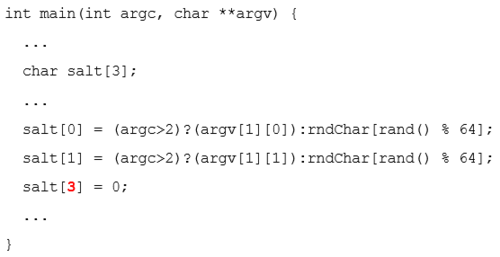 For instance, we would recommend this C++ Quiz then. In our case, we made our test just for fun. We quite frequently hear an opinion that code analyzers are pointless tools. It is possible to find misplaced parenthesis or comma in five seconds. However, analyzer would not find difficult logical errors. Therefore, this tool could be useful only for students. We decided to troll these people. There is a time limit in tests. We ask them to find an error in five seconds. Well, OK, not in five seconds, but in a minute. Fifteen randomly selected problems would be shown. Every solved problem worth one point, but only if user provided the answer in one minute. We want to stress that we are not talking about syntax errors. We found all these code fragments in open-source projects that compiles flawlessly. Let us explain on a pair of examples how to point out the correct answer. The bug here is highlighted with red color. Of course, there would be no such emphasizing in a quiz problem. Programmer accidently made a misprint and wrote index 3 instead of index 2. Mouse cursor movement would highlight fragments of code, such as words and numbers. You should point the cursor into number 3 and press left mouse button. Second example. It is not always possible to point out the error exactly. Buffer size should be compared with number 48. An excess sizeof() operator was put there by accident. In result, buffer size is compared with size of int type. At my opinion, an error there is in sizeof operator, and it is required to point it out to score a correct answer. However, without knowledge about the whole text, it is possible to think this way. Sizeof operator should have evaluated the size of some buffer, but accidently evaluates the value of the macro. The error is in “SSL3_MASTER_SECRET_LENGTH” usage. In this case, the answer will be scored no matter what you choose: “sizeof” or “SSL3_MASTER_SECRET_LENGTH”. Good luck! You can start a game. Test does not support mobile devices. It is very easy to miss with finger. We are working on new version of tests with better mobile devices support, new problems to solve etc. However, it is not implemented yet. We offer you to subscribe on twitter to read about our new and interesting news and to read about new things in a C++ world.